BEACON has partnered with WERKIN to help match and support mentor-mentee relationships for local women founders. Click here to learn more, sign-up and attend an orientation on June 12th. We're looking for both mentors and mentees, so be sure to spread the word! Join BEACON, DCFemTech and Get Found + Get Funded as we celebrate women in tech! This engaging evening will share stories and triumphs of local women in tech. Following a fireside chat and panel discussion, stick around for drinks, bites and networking as we close-out Mayor Bowser's celebration of InnoMAYtion! Speakers include: Taylor Poindexter (Black Code Collective, Crowdskout), Joy Whitt (DMPED), Emily Ryan (Deloitte Digital), Shannon Turner (Hear Me Code), Charlene Brown (ReciproCare), Anika Gupta (The Atlantic), Aurelia Flores (Pipeline Angels), Kristina Francis (Esteem Logic), Angel Rich (Wealthy Life) and Xina Eiland (Get Found + Get Funded). The 2018 PepsiCo Choice Competition, presented in partnership with WBENC, seek to fund certified Women's Business Enterprises with solutions/products in the areas of environmental sustainability, wellness & nutrition, or economic development. Apply by 5/18. The Vinetta Project 2018 Venture Challenge is accepting applications! The competition will award $20k in cash to female founders with tech or tech-enabled businesses. Apply by 5/20. Founder Gym is an online training center for underrepresented funders who want to build successful tech startups. The program is scheduled for June 6-July 13th and is 100% virtual. Apply by 5/20. The Gen2Gen Encore Prize offers $100,000 in cash prizes, coaching and a year of ongoing support for innovative programs, products, and services to tap the talent of 50+ adults to help young people thrive. Apply by 5/25. The Babson College Women Innovating Now (WIN) Lab is an eight-month accelerator program designed for high-growth entrepreneurs. Cohorts are open in both Boston and Miami. Apply by 5/31. The Vinetta Project is partnering with Booz Allen Hamilton to host a series of workshops focused on gaining access to the federal market. Register here if interested in: (1) accessing federal market opportunities, (2) small business certification, (3) revealing "who's who" in the federal space, (4) Small Business Innovation Research (SBIR) and Small Business Technology Transfer (STTR) Programs, and more. Founder and CEO, Danielle Kristine Toussaint, is a storyteller, strategist and social impact leader. She has been the writing pen behind op-eds and speeches for Huffington Post, Forbes.com, and TEDx. Danielle holds a B.A. in Political Science and African American Studies from Yale and a M.S.Ed. from the University of Pennsylvania Graduate School of Education. 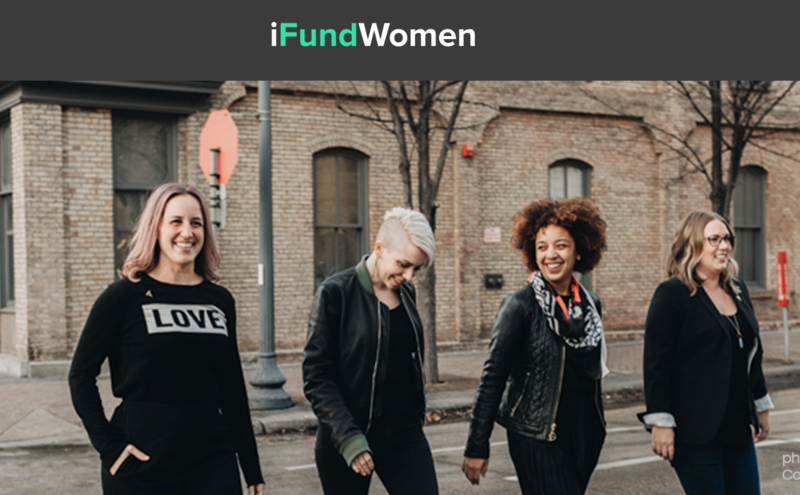 iFundWomen is a crowdfunding platform for women-led startups and small businesses. The platform empowers women to start and grow better businesses through a flexible crowdfunding platform that uses a pay-it-forward model, expert startup coaching, professional video production, access to pitch competitions with investors and a private community for our entrepreneurs to collaborate. Tech Lady Hackathon needs new leaders! The annual daylong community event with a mission of getting more women and newbies into tech is seeking two new co-organizers for its four-member leadership team. Apply by 5/25.